Who are not familiar with the iPhone and its features? Who didn’t spend hours figuring out how they can make your life easier? 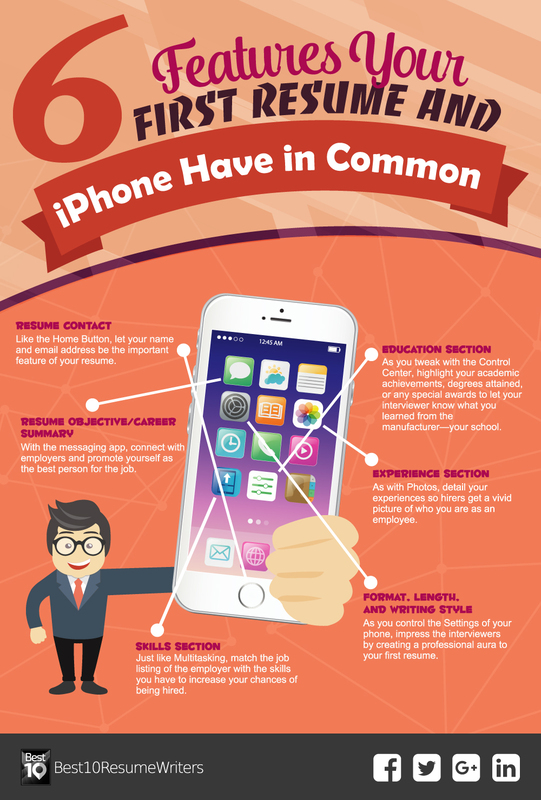 Trust us, there are six resume features your first resume and your first iPhone have in common. Hence, scroll away and learn the how-tos of crafting your first resume! Your career launch starts by learning how to write a resume. For inexperienced applicants, creating a resume for the first job is a challenge. Similar to the manual for your phone, this article states what you should include in creating a resume with no work experience. Job seekers with no work experience should read these resume writing tips. 1. Home button as your resume contact section. 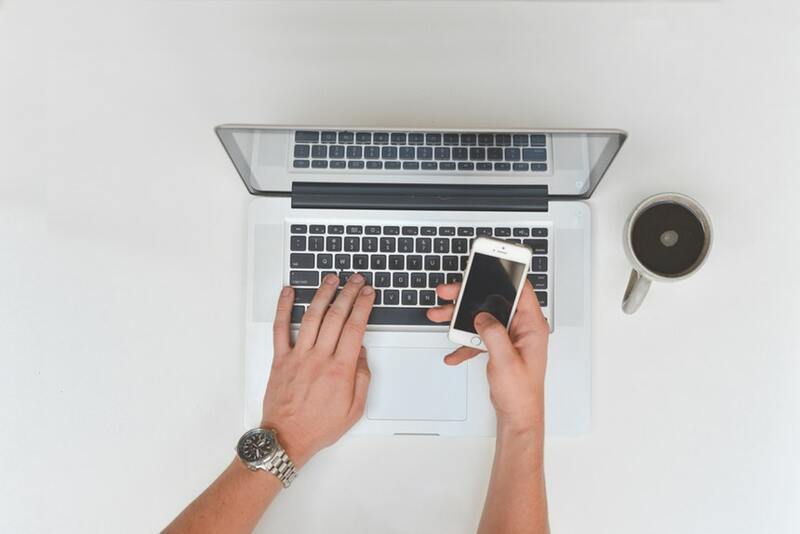 In resume writing for neophytes, start by comparing the Home Button to your Resume Contact Section. This is where your future employers will go back to when they find your teenage resume qualified. As with Home Button, your contact details should appear at once. 2. Messaging as your resume objective/career summary section. Not every resume for young job seekers contains a resume objective section. Others believe it as an outdated part of a resume. However, in a resume for the first job, this part allows employers to view you as a professional. Make sure you tailor-make your resume goal to the job. Young millennials who are not first-time job applicants choose a career summary. Relate what you can contribute to the company. List key achievements, skills, and experience linked to the job. Consider this section your way to promote yourself as a brand employer can trust. 3. Control center as your education section. Compare your Education Section to your phone’s Control Center. Here you can show what you have learned in school. In writing no experience resumes, you should highlight your academic achievements, degrees attained, or any special awards you got. Make sure to organize your education section well. 4. Multi-tasking as your skills section. Have you opened so many tasks on your phone you don’t know which app should get your attention first? Imagine Multi-Tasking as your Skills. Match the job listing the employer-provided with the skills you have. The abilities fresh graduates should have are communication skills, reliability and responsibility, fast learner, team player, and technology skills. 5. Photos as your experience section. You might be wondering why job seekers with no work experience, should treat the Photos feature equal to the Experience Section of your resume. Employers view your potential by asking how you developed when you involve yourself in these practices. Just like how vivid photos are, you need to detail your experiences so they grasp your effort. 6. Settings as the format, length, and writing style. Your settings dictate how your phone works. Your resume functions the same way. No matter how well you write your resume, if the font is inappropriate or crammed with information, employers might reject it. Create a professional aura to your resume. Avoid cliché buzzwords such as ‘dynamic’ and ‘outstanding’. Remove the words, ‘Reference available upon request’. Instead, use the space to detail your successes, skills, and knowledge. Proofread what you have written. This way, you impress your employers just by the way you present your resume. Remember, just as the iPhone updates their wares, you should take time to upgrade yours as well. Shun away from the usual resume for high school students with mediocre resume features. Instead, check our reviews for top resume writing service providers to make your first resume gather responses from your target employers!